According to Federico Angiuoni, Bakery Sector Sales Manager for GEA Imaforni equipment in Russia, the acquisition of the Italian bakery brand Imaforni by one of the largest suppliers of process technology for the food industry, GEA, in 2016 has been good for the company and good for Russian customers as well. "Right now, Russia needs strong, reliable equipment and partners, and that’s exactly what we are able to provide”, he said. When a trusted brand is absorbed by a global giant, customers worry whether the quality, service and relationships they had always enjoyed will be compromised. “But that is not necessary in this case at all,” said Federico Angiuoni. GEA Imaforni is a leading supplier of advanced lines for crackers, soft and hard biscuits and snacks. The Imaforni brand has been selling its equipment in Russia for over 25 years and has built up an impressive portfolio of reference sites across the region. Now, as part of GEA, it is in a prime position to take advantage of sales opportunities generated by other members of the Group worldwide. Customers benefit furthermore from GEA’s involvement with enhanced financial security, a global service network, over 100 years of engineering experience that permeates the whole product range in ways that show when the going gets really tough, and a level of technical and processing innovation that is the envy of the industry. This technological pedigree, combined with the operational know-how gained through many years of process experience, unrivalled R&D facilities and global back-up enables GEA to provide a unique offering to the Russian market. In 2015 GEA also acquired Comas from Torrebelvicino, near Venice. 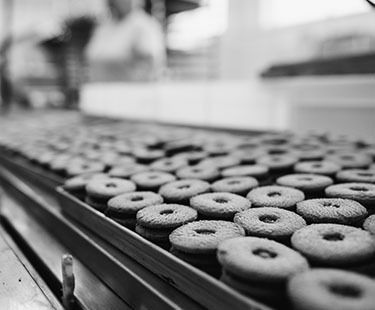 The company’s products include a range of top-level equipment and complete production lines for cakes, pies, cookies, layer cakes, pastry, pizza and selected bread applications. The Comas and Imaforni brands complement each other perfectly allowing GEA to provide turnkey systems for a wide range of products, from mixing to packaging, by using proprietary technology and full line integration.